No other Mesoamerican site has made me feel quite as much like an explorer as the Mayan city of Yaxchilan (pronounced Yas-che-lan). 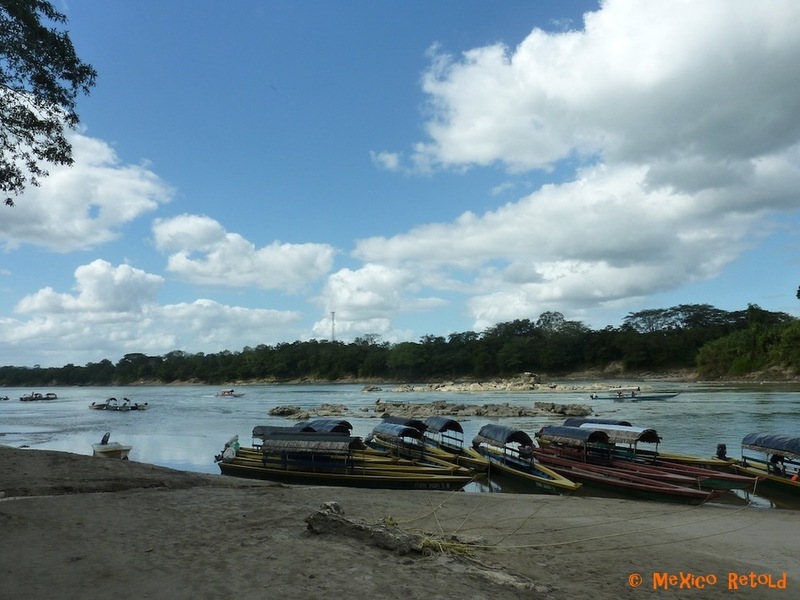 Hidden in the jungle on the banks of the Usumacinta River, a river named after the Howler Monkeys that inhabit the surrounding jungle, the site has added intrigue, since it is only accesible by boat. 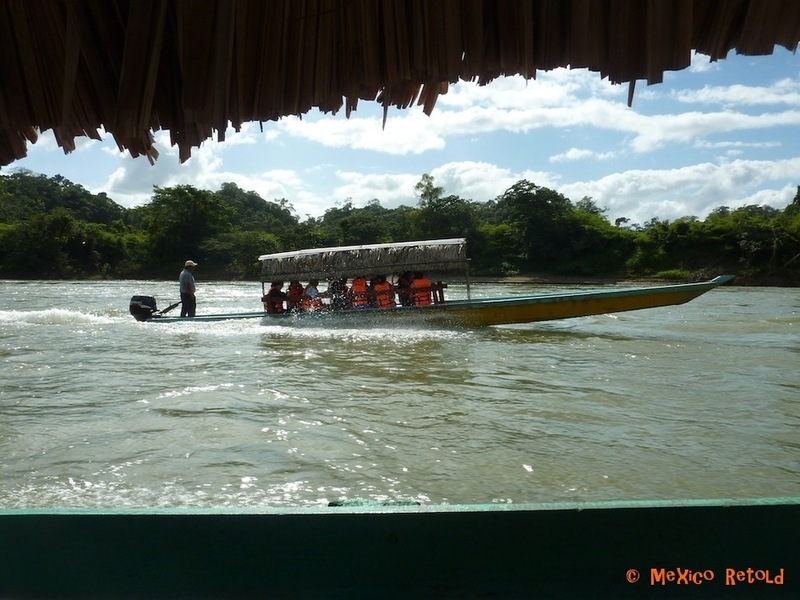 The boat trip down the river from Frontera Corozal is a ride from heaven. Traveling down the river that separates Mexico and Guatemala you can’t help but think about the futility of man-made borders. One side looks no different from the other, both were green and lush and the same bright blue, cloud scattered sky towered over both. As we sped along, bouncing over the small waves created by other boats, we saw families whose lives revolved around the river. Children were splashing in the water, women were washing clothes, and men were heading out on boats to fish. Forty minutes after setting off, our boat moored at the edge of the river and we jumped out ready to explore, unaware of what we would find. 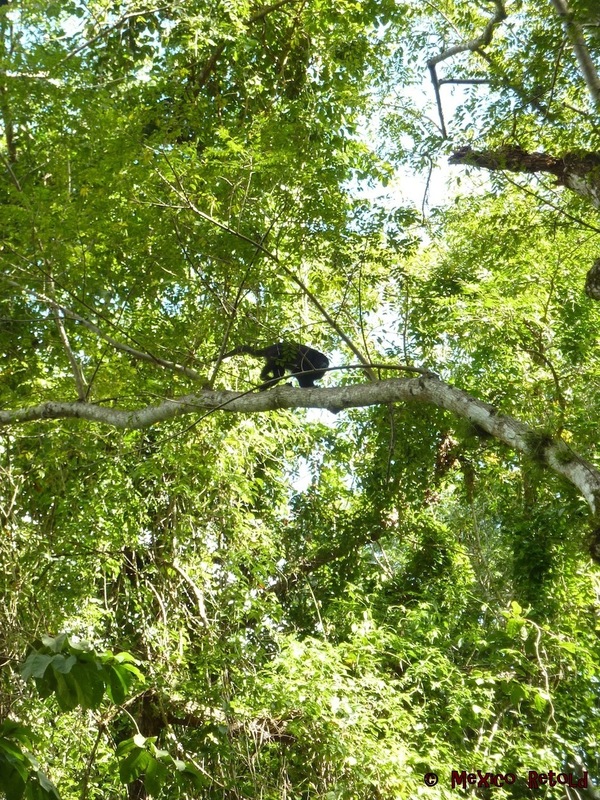 We entered the site with another 20 or so tourists (or “explorers”, as I liked to see them) and were immediately confronted by the sight of three howler monkeys playing in the trees above us. If you’ve ever heard a howler monkey, you will know that their roar is deep and penetrating and rather haunting. It conjures images of huge jaguars or dangerous jungle inhabitants. It is a surprise then, when you see the culprit of this sound, a small little monkey, swinging happily in the trees perhaps unaware of its own terrifying roar. Still at the outskirts of the site, we watched all our fellow explorers take the left path down to the site. Being slightly rebellious by nature and keen to explore alone, we chose to buck the trend and go right. I am so glad we did! Trees covered the path with the sun pushing through where it could to light the way. 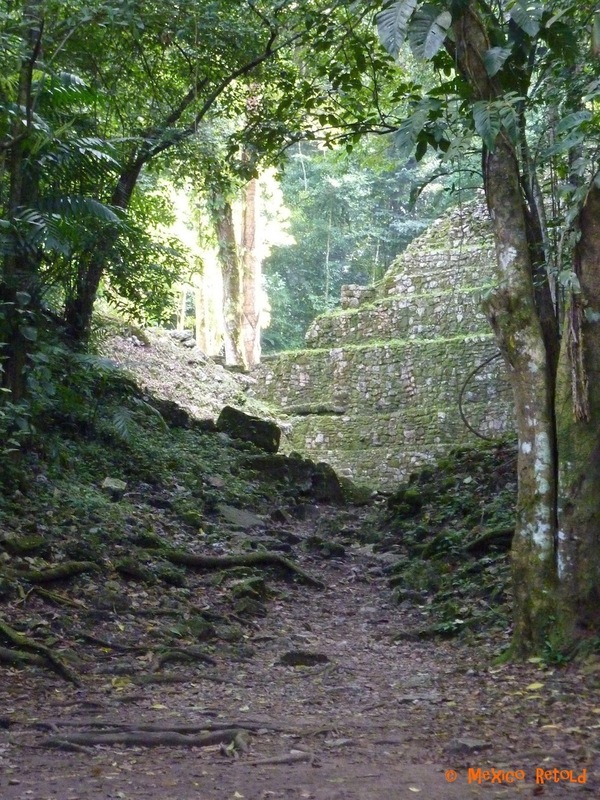 Entering Yaxchilan from this direction it felt like we were the first people to discover it. Out of nowhere appeared a pyramid, covered in moss and surrounded by trees. Elaborate root systems covered the pathways and there was every evidence of nature retaking its rightful place in the ancient city, likely to have been abandoned around 800 CE. 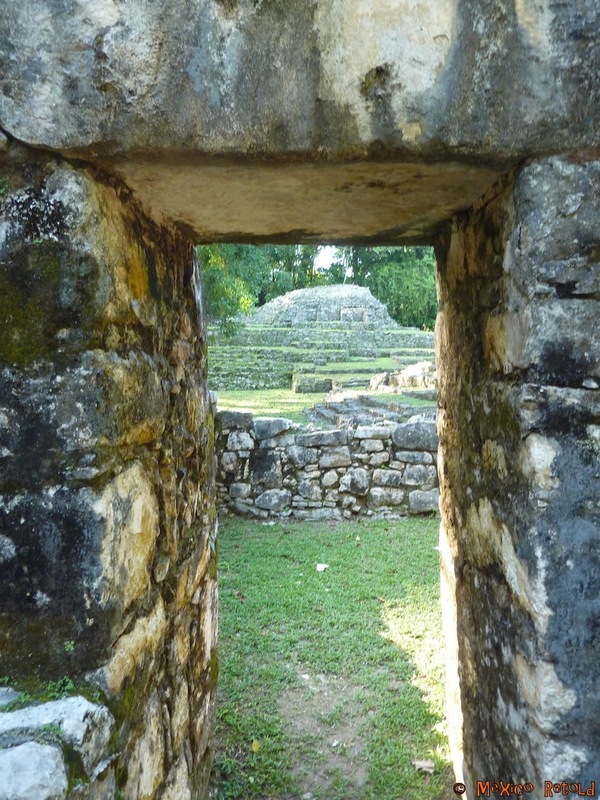 Excitedly, we carried on walking towards the pyramid and found ourselves alone inside a labyrinth of walls. It was pitch black and I couldn’t help imagining the kind of animals that may have made it their home. Very quickly we started to hear the voices of others who had entered the labyrinth from the other side and guided by instinct and the echoes we made our way out. When the light hit our eyes, the most breathtaking sight confronted us. 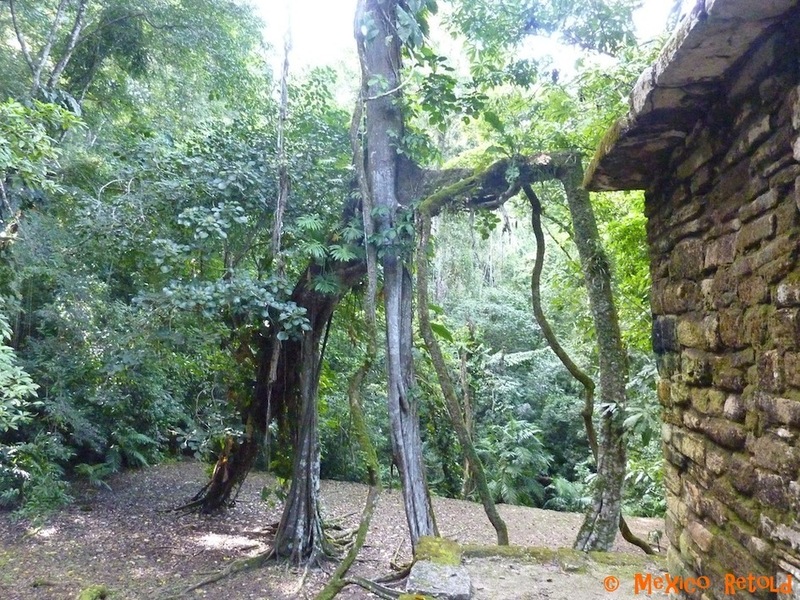 The beautiful main plaza of Yaxchilan, lush and green and with some of the most majestic trees I have ever seen appeared before us. Building stood proudly as if teasing us to explore more. 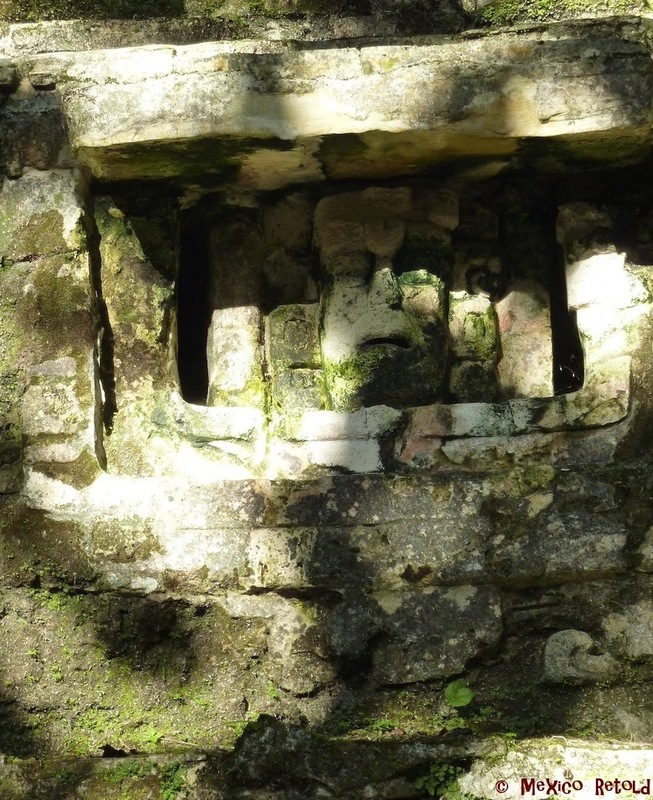 The wonderful thing about Yaxchilan is that many of the original pieces, that at other sites have been removed to museums across Mexico and the world, remain in place. It isn’t beautifully finished and coiffured like other archeological sites and you can stumble upon carvings and artifacts that appear undiscovered. 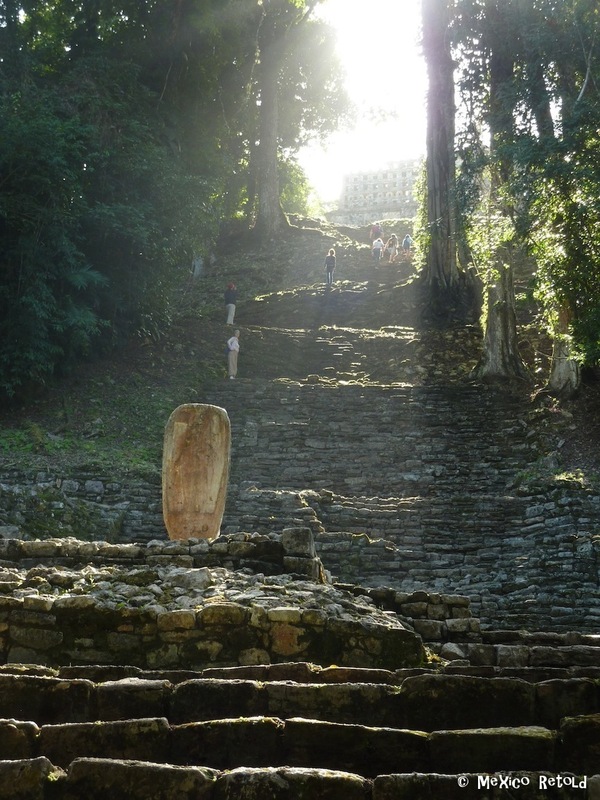 That is what makes it magical, gives it a sense of energy, excitement and mystery, and transports your imagination back to the time when Yaxchilan was inhabited. Having arrived at the site in the late afternoon, we were treated to a light so dreamlike climbing down the steps of the site like a golden serpent enticing the explorer to climb up them into the unknown. We climbed to find whole new group of structures, some with carvings so perfect you could be mistaken for believing they were replicas. Reaching the top we found ourselves alone with howler monkeys roaring all around us and a majestic vision stretching out below us. The excitement that we felt was child-like. We were energised and wanted to explore every inch of this site. We wanted to find the unfound, uncover what was still hidden. Sadly, though our time as explorers came to an end when we realised we needed to get back to our boat and back to our cabañas before nightfall. You could barely keep the smiles from our faces during the boat trip home. We were enchanted! 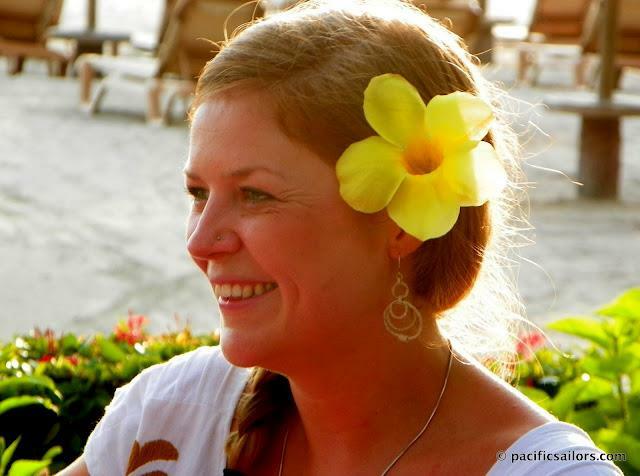 We listened half-heartedly to the chatter of our fellow passengers as we daydreamed about ancient Mayan lands and archaeological digs and wondered how soon we could return. You should. It is really such a special place!